CHATTANOOGA, Tenn. – In partnership with Atrium Medical Center, CHI Memorial is pleased to announce an expansion of its services in East Hamilton County. 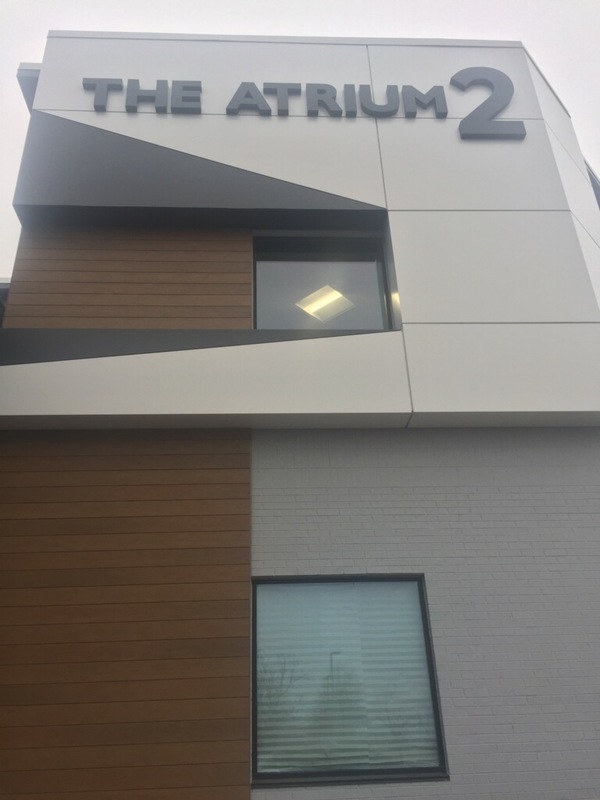 Atrium Medical Center has provided physician office space and a variety of medical services to this community for 25 years. Today, we are thrilled to introduce CHI Memorial’s new vision for this space. CHI Memorial’s expanded presence will include primary and urgent care for children and adults, specialty care for cardiac and breast health, in addition to our regional sleep center and corporate offices for home health and provider services. "When deciding to invest further in the newly redesigned, state-of-the-art healthcare space, we knew that it was important to make an impact on an area of our city that is seeing sustained growth. The Gunbarrel / Hamilton Place corridor has been a hub of growth for Hamilton County in the last 25 years. In the last 10 years, consistent population growth has surged to nearly 50,000 residents in this zip code alone," explains Larry Schumacher, CHI Memorial CEO and senior vice president of operations, Southeast Division, Catholic Health Initiatives. "The healthcare facility’s proximity to growing communities and easy access to Interstates 75 and 24 makes this an ideal location to expand CHI Memorial’s offerings where they will provide the most benefit." CHI Memorial has always been focused on growth and looking for new ways to provide exceptional care in the communities we serve, and this expanded presence is a further example of our unwavering commitment to this mission. The target completion date for CHI Memorial’s new and renovated medical offices at Atrium Medical Center is set for the first quarter of 2018. The location will feature a complete exterior renovation, enhanced wheelchair access, energy efficient design achieved with new windows, LED lights and new HVAC, updated common areas, improved parking areas, and wayfinding making it more accessible than ever before. CHI Memorial healthcare professionals located at Atrium Medical Center include The Chattanooga Heart Institute, the MaryEllen Locher Breast Center, CHI Memorial Primary Care Associates, CHI Memorial Convenient Care, CHI Memorial Pediatric Diagnostic Associates, CHI Memorial Regional Sleep Center, and the corporate offices of CHI Memorial Health at Home and Memorial Health Services, in addition to other partners. CHI Memorial is a not-for-profit, faith-based healthcare organization dedicated to the healing ministry of the Church. Founded by the Sisters of Charity of Nazareth and strengthened as part of Catholic Health Initiatives, it offers a continuum of care including preventative, primary and acute hospital care, as well as cancer and cardiac care, orthopedic and rehabilitation services. CHI Memorial is a regional referral center of choice with 3,500 associates and more than 600 affiliated physicians providing health care throughout Southeast Tennessee, North Georgia and Northwest Alabama. To learn more, visit www.memorial.org. Noon Development is a private development firm in Chattanooga, Tennessee. The company specializes in various real estate initiatives, including acquisitions and development of commercial office, retail, medical and residential projects across the greater Southeast. Previously, the group has built the Lyerly Medical Pavilion, and redeveloped the Fleetwood Building on East 11th Street, the Lifestyle Center on Market and 422 E. MLK Street, home to 2 Sons Kitchen & Market. Learn more at NoonDevelopment.com.